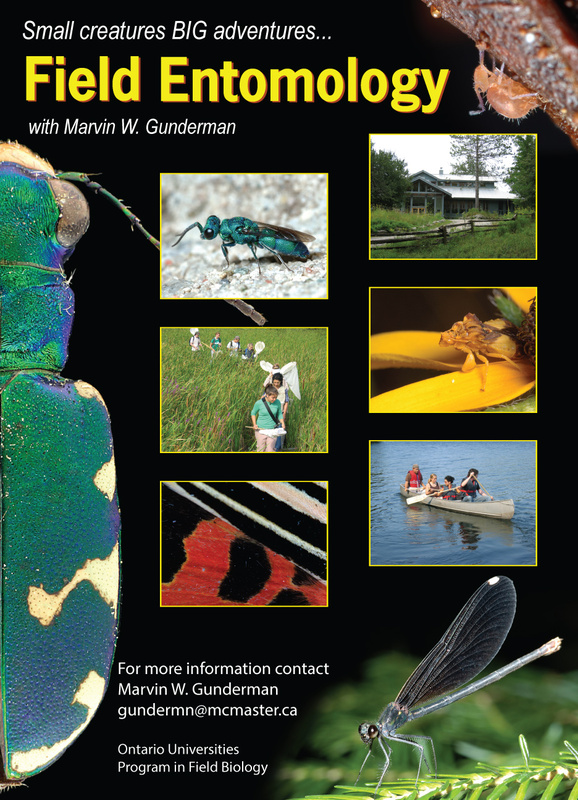 Field Entomology is offered through the Ontario Universities Program in Field Biology. Field Entomology & Ecology is a long-running course (over 24 years!) and is traditionally held at the Queen’s University Biological Station (QUBS). This two-week field course is offered by McMaster University as part of the Ontario Universities Program in Field Biology (OUPFB). Field Entomology & Ecology is a unique blend of taxonomy, natural history and photography where students learn how to collect, pin and identify insect specimens to create both a physical display collection as well as a digital image collection. Photography workshops will be given throughout the course to help students take their digital documentation skills to the next level. The course is usually capped at 10 students in order to optimize the student to teacher contact time.